The CODE team eats in restaurants tirelessly, to bring you news of people, places and trends. One idea that seems to be getting traction is for seating two-tops next to each other, rather than across a table. CODE’s founder Adam Hyman was in New York last week and noticed quite a few restaurants set up that way. He asked a server why – apparently couples like it because in a noisy restaurant they can talk quietly. A GM in another said it originates in the days when mafia bigwigs wanted to sit with their backs to the wall so they couldn’t be attacked from behind… Meanwhile in London CODE’s editor Lisa Markwell recently dined at Kerridge’s Bar & Grill with a guest and was seated side-by-side which, though unorthodox, meant both could watch the action rather than one gaze at the wall. It’s certainly not the most efficient use of a room but perhaps with restaurants getting seemingly ever louder, and social media being a big part of dining out, it could take off. Watch this (floor) space. Speaking of coming from an expert, Dum Biryani’s founder Drhuv Mittal is to launch a second restaurant, based on one of India’s most exciting culinary cities. 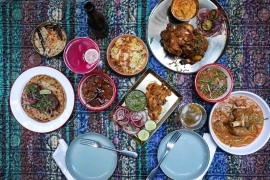 March opening Lucknow Social will be located on Maddox Street in Mayfar, serving the slow-cooked Awadhi cuisine of biryanis, kebabs and curries in a brightly coloured interior. Mittal has previously worked at the Oberoi in Agra, so knows the rich dishes well. We’ll be leaving space for a kulfi with almonds and rosewater. Pavilion Road in Chelsea is the location for a new opening from Alex Hunter, who co-founded Bonnie Gull. 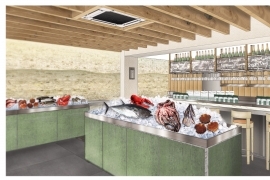 Due to launch in April, The Sea, The Sea will be a fish shop and deli during the day, and seafood-focused restaurant at night. There will also be guest chefs – Jeremy Chan and Leandro Carreira are already lined up – and masterclasses. It shares nothing but a title with the famed Iris Murdoch novel (just as well, the lead character’s a rotter). Killer noodle alert – the founder of fabled Xi’an Impression is opening a new place. Master Wei will appear in Bloomsbury in March, serving the Chinese Shaanxi dishes that have made both Impression and spin-off Biang Biang Noodles such a hit. This, though, will be Wei Guirong’s first solo restaurant and the location, near Great Ormond Street, should bring the crowds. 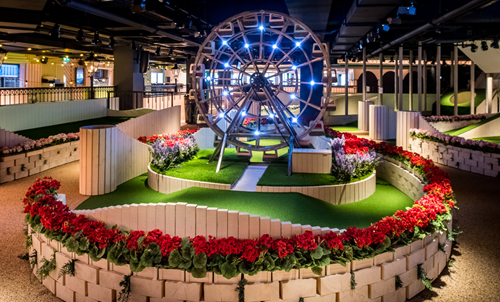 CODE previously reported that the Big Mamma group were bringing some of their Parisian pizzazz to London and now details have emerged. The restaurant will be called Gloria and launches on 20 February on Great Eastern Street, Shoreditch in what the operators describe as a messy, vintage Capri-style trattoria. With Londoners showing no signs of really cutting out carbs, it sounds like a winner. Congratulations to Nisha Katona. 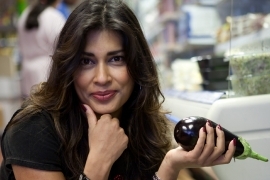 Just a few days after receiving an MBE for services to food, the Mowgli founder has announced that she will open a second site in Manchester next week. We like Katona describing the Indian menu as “perfect brain food”, appropriate for the large student population of the Oxford Road area. 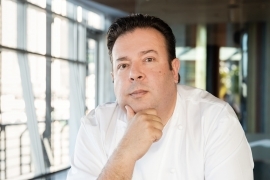 The noted Australian chef Peter Gilmore has been appointed honorary president of the judges for the Roux Scholarship 2019. 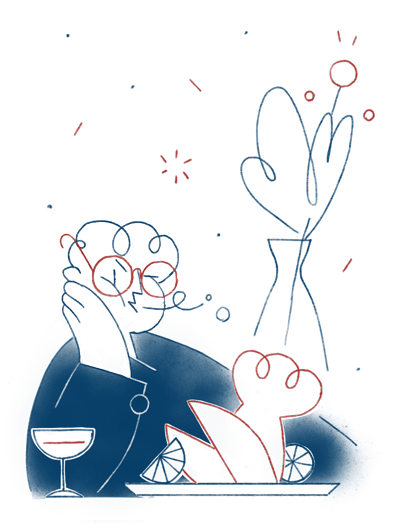 He will head the team – which includes Angela Hartnett, Sat Bains and Michel Roux Jr - appraising the chef entrants for the prestigious prize. Entries for the Roux Scholarship are open till 31 January. Orasay is a new restaurant, launching March 2019, by chefs Jackson Boxer & Andrew Clarke. 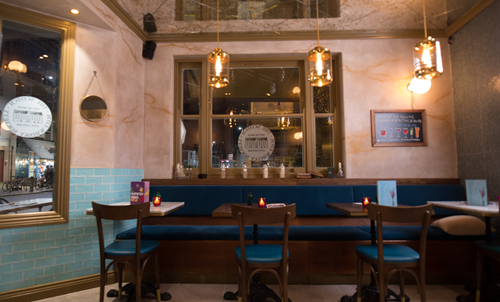 The 50 cover dining room in Notting Hill will showcase the exceptional produce of the British Isles, with a particular focus on the seafood of the pure, rich waters off the Western Isles of Scotland. Restaurants can be the most amazing, rewarding and fulfilling places to work. Come cook and serve beautiful food and make people happy. We embrace, we create, we innovate; The Standard never stands still. Be part of our unconventional, bold, irreverent, evolved and personal takeover of London. We are a young, ambitious and fast-paced environment in the process of exciting expansion. We are looking for a meticulous and creative Head of Food to lead our kitchen team at The Watch House. This is a hands-on role for an individual driven by high standards and utter passion for food. This is a very exciting time to join our journey as Head of Food and is an incredible opportunity to grasp and really make your own. Not to be missed! Tonic Communications specialises in publicising and marketing the hospitality sector. We love nothing more than achieving quantifiable results in media, marketing and events and getting successes for our favourite brands. After several exciting new client wins we are looking for an exceptional SAM to join our team. We love what we do and our passion comes across in all our campaigns. The Dumbwaiter takes a dim view of January get-thin-quick schemes but was a fan of Tom Kerridge nipping into a bookshop to stick his face over Gemma Atkinson’s on her new diet and fitness title – cue instant waist and six-pack. Pity poor Gizzi Erskine, on holiday in Asia her phone went tonto with people telling her the Beckhams were eating at her healthy fast-food pop-up Filth. It's the only filth that famously OCD David can stand, we assume. From Copeland Park to Camden Passage. Click here to read The Dumbwaiter's Best Bites of the week.